Born 28th June 1577 he was a proponent of extravagant Baroque style that emphasised movement, colour, and sensuality, who was known for his Counter Reformation altarpieces, portraits, landscapes, and history paintingso mythological and allegorial sujects.In addition to running a lare studio in Antwerp that produced paintings popular with nobility and art collectors throughout Europe, Rubens was a classically educatdhumanist scholar and diplomat who was knighted by both Philip IV, King of Spain, andChares I, King of England was raised as a Catholic. Religion figured prominently in much of his work and Rubens later became one of the leading voices of the Catholic Counter-Reformation style of painting (he had said “My passion omes from the heavens, no from earthly musings”).In Antwerp, Rubens received ahumanist education, studying Latin and classical literature. By fourteen he began his artistic apprenticeship with Tobias Verhaeght. Subsequently, he studied under two of the city’s leading painters of the time the late Mannerist artists Adam van Noort and Otto van een.Much of his earliest training involved copying earlier artists’ wrks, such aswoodcuts by Hans Holbein the Younger and Marcantonio Raimondi’s engravings after Raphael. Rubens completed his education in 1598, at which time he entered the Guild of S. Luke as an independent masterIn 1600, Rubens travelled to Italy. He stopped first in Venice, where he saw paintings by Titian, Veronese, and Tintoretto, before settling in Mantua at the court of Duke Vincenzo I Gonzaga. 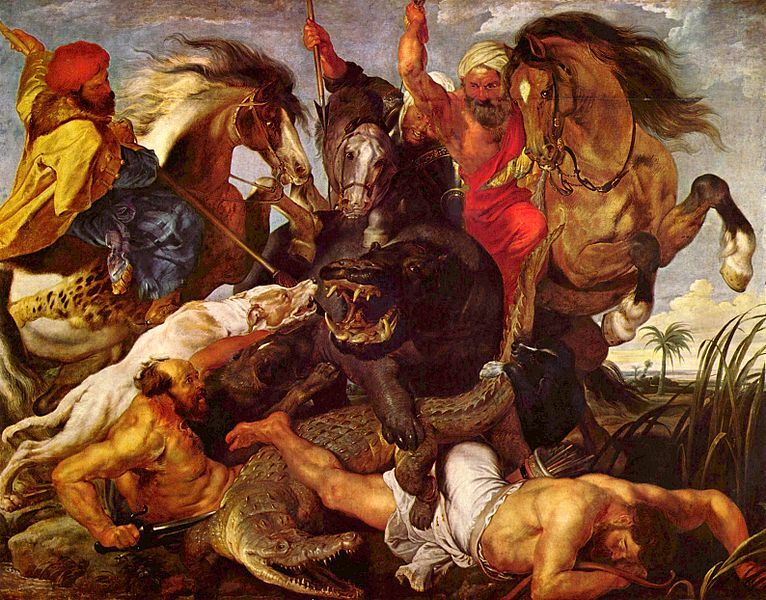 The coloring and compositions of Veronese and Tintoretto had an immediate effect on Rubens’s painting, and his later, mature style was profoundly influenced by Titian. Tim Burgess, English singer with English alternative rock band The Charlatans was Born 30th May 1967. The band’s line-up currently comprises Tim Burgess (vocals), Mark Collins (guitar), Martin Blunt (bass), Tony Rogers (keyboards) and Jon Brookes (drums and percussion). In the UK, all of the band’s eleven studio albums have charted in the Top 40 in the UK Albums Chart, three of them being number ones. They have also achieved seventeen Top 30 singles, and four Top 10 hits in the UK Singles Chart.The original members of the Charlatans were located in the West Midlands, however many sources state that they formed in Northwich, Cheshire. This is because the band relocated to the home town of new lead singer Tim Burgess (who lived in Northwich) before the 1990 release of The Charlatans’ debut single “Indian Rope”, on the band’s own Dead Dead Good Records label. This means that, based on the definition of the hometown used by Guinness World Records, the band formed in Northwich and consequently, Northwich is recorded as their home town in such publications as British Hit Singles & Albums.The debut single, “Indian Rope” proved an indie hit and the group soon found a major label, Beggars Banquet off-shoot Situation Two, in time for the release of “The Only One I Know” which reached the Top 10 in the UK Singles Chart. A further single, “Then”, and debut album Some Friendly, were released later that year. Around this time The Charlatans were forced to add UK to their name for an American tour due to competing claims by a 1960s rock band also known as The Charlatans.Baker left the band after 1991′s “Over Rising” single to be replaced by Mark Collins (no relation to Rob), and the band brought in producer Flood for their second album Between 10th and 11th (named after the address of the New York Marque, site of the group’s first US concert). Released in early 1992, the album failed to reach the Top 20 in the UK Albums Chart. However, the Top 20 success of the lead single “Weirdo” and a double weekend of gigs (‘Daytripper’) in Blackpool and Brighton with Ride kept them in the public eye.The follow-up album, Up To Our Hips (1994) reached number 8 in the UK Albums Chart. In 1995 the band’s self-titled fourth album saw them become major UK stars again, topping the UK albums chart and spawning the Top 20 single “Just When You’re Thinkin’ Things Over”.The fifth album Tellin’ Stories was released in 1997 and contained the singles “One to Another”, “North Country Boy” and “How High”. In 1998 they released the career-spanning compilation Melting Pot. The band also helped put “The B-sides collection Songs From The Other Side” and DVD “Just Lookin’ 1990 – 1997″ togetherFollowing the album Us And Us Only,The band released their ninth full-length album on 10 April 2006. Titled Simpatico, it was a reggae and dub tinged album and featured tracks like the fan favourite “NYC (There’s No Need to Stop)” and “Blackened Blue Eyes”. Their follow-up to Simpatico was another career-spanning singles compilation entitled Forever: The Singles which was released on CD and DVD on 13 November 2006. In an October 2007 issue of the NME, the band contributed the song “Blank Heart, Blank Mind” to the magazine’s free Love Music, Hate Racism compilation CD. Later the same month, the new single “You Cross My Path” was released as a free download exclusively through the XFM website. On the 3 March 2008, The Charlatans teamed up with Xfm again to become the first UK band to release an album completely free to download via a radio station. This was preceded a week earlier by the second single from the album, “Oh! Vanity”. The album, titled You Cross My Path, is The Charlatans’ tenth studio album and received a physical CD/LP release on 19 May 2008. Their eleventh studio album, Who We Touch, was released on 6 September 2010 and The first single release was “Love Is Ending”.On March 28th 2011 Universal Music re-released a deluxe edition of the band’s Us & Us Only album, originally released in 1999, featuring a collection of bonus tracks including B-sides, live recordings, radio sessions and rare remixes. In March/April 2011 Tim Burgess and Mark Collins played an acoustic tour of the UK. To coincide with the acoustic tour the band released Warm Sounds EP. Featuring six stripped-down and reworked versions of Charlatans tracks including “North Country Boy”, “The Only One I Know” and “Smash The System”. It was available to download from iTunes and The Charlatans website.